Playground is an activity place where children get involved in a number of physical activities and games, which keep them socially active & physically fit. The recreational activities in the playground also help to develop coordination skills among children. Running, swinging, sliding, jumping, and crawling etc. can enhance their physical as well as mental strength. Hence, it is said that a playground is a complete recreational package for children. Playgrounds have evolved with time. 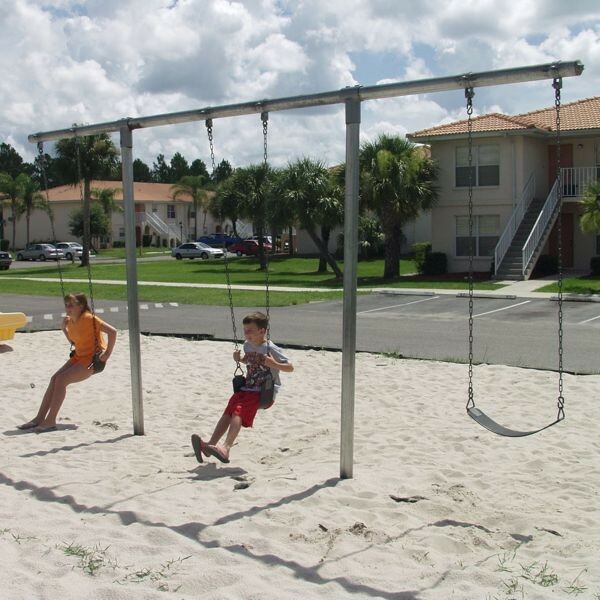 The modern playgrounds have equipment such as swing set, seesaw, merry-go-round, sandbox, slide, and playhouses, etc. First and foremost thing is to check the credibility of the online retailer. You should inquire about the reputation and reliability of the retailer in the market. The safety issue comes next. Check whether the playground equipment is made as per the safety measures. There are chances of kids falling from the equipment while playing, so, make sure that the surface is capable enough to protect your children. Another important factor is the proper design and spacing of the playground. Usually, the playground equipment is designed for three different age groups, infants and toddlers, 2-5 year-olds, and 5-12 year-olds. You should select the equipment according to the age group of your children. As parents, the most important thing for you will be the health of your children. Always check whether the material used in the making of the playground is environment friendly and would not have an adverse effect on their health. Childhood is the most important stage in anybody's life. Make it more special by installing the best of playground equipment. 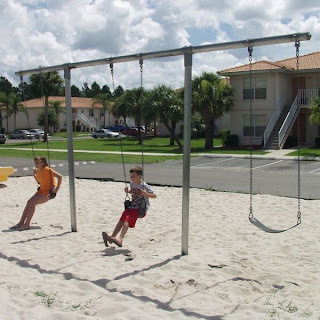 Swing set is one of the best options to consider while making a purchase.